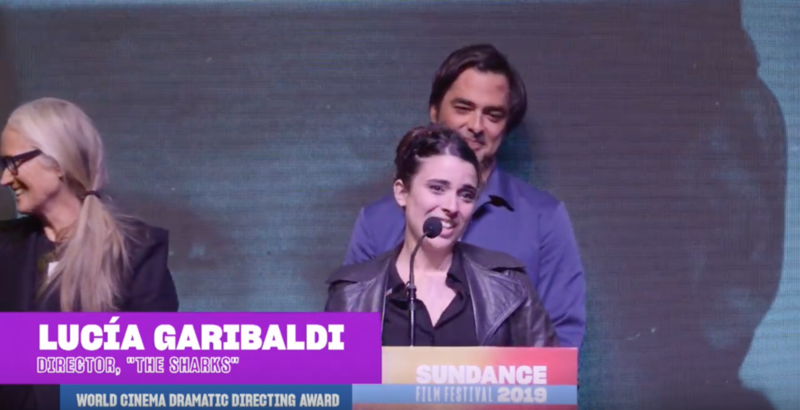 Uruguayan filmmaker Lucía Garibaldi was the winner of the World Cinema Dramatic Directing Award at the 2019 edition of the Sundance Film Festival for her debut feature The Sharks / Los tiburones. The selection of the film in the Park City festival was a historic first time for a film from the South American country. An engaging and provocative coming-of-age tale, The Sharks tells the story of 14-year-old Rosina (played by the wonderful newcomer Romina Bentancur), who lives in a quiet and small beach resort rumored to be plagued by sharks. Upon meeting the older Joselo, she feels a desire to bridge the distance between them and begins to circle him, as if inspired by the mysterious predators. An assured and understated debut feature, The Sharks adds Garibaldi’s name to an exciting list of powerful female voices emerging in Latin America cinema. Winner of the prestigious Work in Progress / Cine en Construcción Prize at the San Sebastian Film Festival, The Sharks is yet another new highlight for Uruguayan cinema, which is leaving an indelible mark in the renaissance of South American cinema of recent years.